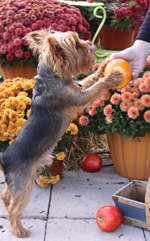 Many dog behaviors are a direct product of some type of training. To be precise, dog training is everything that our dog learns while interacting with us. Many people have the wrong opinion that dog training is strictly obedience training or other type of dog sports. Dogs don’t understand the difference between dog agility and a Belgium ring. They are all activities and behaviors that are trained and not natural for them, with this said there is no difference between dog sports and dog behaviors in our households, which are also not natural for our dog. How do we train our dogs? consciously; when we have a certain goal in mind of how the dog should perform a certain task. unconsciously; when we don’t react to some dogs behaviors and we allow them to develop, or by encouraging the wrong actions. These are the roots of most dog behavior problems. You can have two litter mates living in houses next to each other, living in similar environmental structures, yet they will behave completely differently from each other because of their dog behavior and training. Social interaction with family members and humans in general will shape the behavior patterns differently in both cases. 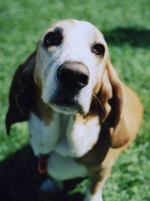 What do we do wrong with dog behavior and training? There are so many mistakes that it is impossible to put them all on one list. The majority of dog behavior problems develop during the first part of a dog’s life within the first four months when the dog’s brain is in the most intensive growing and learning period. And most dog owners tend to let their dogs get away with behaviors they don’t ultimately want, or don’t begin creating any structures during this time thinking that they are “just too young”. Inconsistency; this is the biggest mistake that you can make with your dog. For example; if I was to reward my dog with a treat every time he sits for a period of 1-2 years and then suddenly stop rewarding the sit position; my dog will probably stop offering or performing that behavior simply because it is not rewarding for him any more. But, if I was to reward him every now and then, I will just strengthen his behavior because he wouldn’t know when the reward is coming (variable reinforcement). The same thing applies with unwanted behaviors, if we are inconsistent with our response to our dog’s “unwanted behaviors” the message that we are sending is that every now and then it is “ok” to practice that behavior and it is up to our dog to figure out when that time is. All of these misbehaving patterns will be covered in detail in dog behavior problems along with how to deal with them however; I just want to mention that these are all natural dog behavior patterns and that most dogs will display them in a vast number of situations. First of all there is an energy that is triggered by the excitement of seeing someone, either a family member or a visitor. Then this energy spills into the action of jumping. Dogs are trying to reach our face. Why? This is normal dog language, when they see their “dog friend” they exchange face licking, sniffing, etc. Some experts claim that one of the reasons for dog jumping is part of their genetic pattern, necessary for the dog’s survival. Wolf puppies for example, rush to greet parents and other pack members when they are back from a hunt. Licking their faces and jumping actually encourages adult wolves to regurgitate food for their young. This may be one of the reasons why dogs jump when greeting us. They may just be trying to reach our faces. The biggest problem is that we actually encourage this jumping and excitement when dogs are small (we are all weak for puppies) and we actually allow them to practice this dog behavior which will later become a problem for us a few months down the road, when we don’t want our dog to practice this behavior anymore; usually because they are now too big or too old, or simply because we have tired of it. TIP: Dogs don’t “grow out of it”. If they learn or practice a particular dog behavior and it has been reinforcing for them, they will keep increasing it, not decreasing it. Especially if those behaviors are trained in the first 16 weeks of their life, in these cases some of the behaviors may be difficult or even impossible to deal with after wards. Why does my dog always try to ‘chew’ on me? 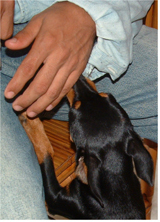 Pushing the dog away; this “activates” the dog’s opposition reflex and he gets even more excited and into a higher drive because you are simulating defensive actions, which will encourage him to practice his offensive skills. Remember that what we see as “dog’s play” is actually a combination of communication language and exercises where a dog practices the skills or drives that are necessary in their life. You start to move your hands or you start leaving (or worse, running away). This activates the dog’s prey drive, and becomes a great and rewarding game. TIP: Giving the wrong feedback to your dog will shape the wrong response from him which will end up as a dog behavior problem down the road. If you want to prevent dog mouthing problems or to learn how to deal with it or other issues please visit dog behavior problems. It is imperative for any dog owner or handler to understand how many behaviors and actions we end up “training” our dogs without even knowing it. 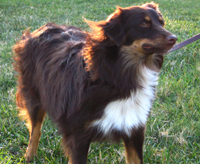 Dog Behavior and Training shape each other. Dogs are not just passive observers in our everyday life. The relationship between; a dog’s behaviors, levels of training and the differences between dogs and humans as a species are all intertwined. Dogs are persistent, pushy, and they are consistent. Does this mean dominant? No, this is simply a normal dog temperament that is obvious in more or less any dog on this planet. The problem is that often some dogs are wrongly labelled as “dominant” and therefore treated for that incorrectly diagnosed issue. We the handlers, on the other hand are inconsistent, “easy” to push and we tend to easily give up. As mentioned above this is one of the main reasons that we have problems dealing with dogs, for some people more than others. Being persistent, patient and consistent is as much of a challenge for us, as altering a “bad habit” is demanding for our dog. The following phrase will be repeated in dog obedience training dog obedience training and dog behavior problems; it all starts with us. This is where the understanding of the relationship between dog behavior and training goes into action. Expecting a dog to make changes on his own (like “growing out of it” or “he will calm down when he becomes more comfortable) is a waste of valuable time and will only result in our frustration (luckily, if only that). Before getting your dog, arm yourself with knowledge. By this I mean the knowledge from reputable sources, not your friends or relatives with their own ‘stories and opinions’. They will often provide you with the “training” details that may have “worked” with their dogs but that won’t necessarily work with you and your dog(s). Local obedience schools may help you (depending on who runs them) but in a nutshell it is between you and your dog. Knowledge is the most important part; you are bringing an animal into your life and you need to understand how to successfully communicate and how to recognize symptoms before they become an issue. In addition to that, you will need patience, persistence and consistence; not to mention that you will need to rearrange your life habits and rituals regardless if you are just getting a dog or if you are dealing with some dog issues down the road. Change is inevitable. Working a dog through distractions is a lifetime process where you will either spend time introducing the distractions to your dog, working through them or working in the “maintenance phase” after the actual training is complete. You can find a lot of details about how to work with dogs that are affected by distractions in the Environemntal factors section of the website or in the desensitizing and counter conditioning pages. I just want to highlight here, that despite the dog training materials and books available, there are many people who still don’t know much about how distractions affect their dogs and how to help their dogs deal with this part of life. It is easy to get the wrong idea as to when we can consider our dog ‘trained’. To get some exercises (even the basic ones like sit, down or stay) to be reliably performed we need to invest time in exercising them until the dog’s performance is fluid and the dog has reached the generalization point for certain actions. Even then there is a possibility of failure. This is important to know in order to address the possible issues correctly. If this happens to you and your dog, especially in the same or similar type of scenarios repeatedly, find the “triggers” and work on them. As mentioned there can be many different reasons that we hit the point when our dog is disobedient; either during dog training or everyday life situations. One of the factors is fear. Hazard-avoidance behavior patterns are common in the animal world and in most cases whenever your dog is not sure about something (that can be a certain environment or certain objects or other animals or people) it is possible that they will react instinctively. The problem with instinctual behaviors/actions is that they are in most cases stronger than learned behavior/actions. That is the reason why it is so difficult to manage a dog (or virtually any other animal) who is under the influence of fear. No matter how well the dog has been trained, if you are dealing with a fearful temperament dog, unfortunately that dog may not be trustworthy. Many inexperienced dog handlers or owners live with the illusion that dog obedience or dog training can fix this issue, until they find themselves unable to recall their dogs after the thunder rolls from the sky or a truck hits the horn while passing them on the street. Having a dog with a fearful temperament off leash in an environment where the dog can get triggered and under the influence of fear (hazard-avoidance behavior) is a recipe for disaster. Dog training is not the answer for everything, nor can we modify any dog behavior/temperaments through training. Instincts have a strong influence and accepting and understanding that, no matter how well our dog is trained, we are still dealing with an animal, may save us some trouble in life. The best way to deal with fears is to prevent them as much as possible. Choosing a puppy from a responsible breeder whose dogs don’t show the signs of fearfulness, proper puppy socialization which will give a good chance for a successful life later on, building a relationship and dog obedience training will help your dog to face the world more successfully. If you are dealing with a fearful dog, check the dog behavior problems part of the website and desensitizing and counter conditioning where you can find a lot of tips and details of how to help your dog change a response to some situations in which your dog reacts in a negative way. It is important to deal with fear. Fear has a tendency to grow especially in a fearful temperament dog. Not acting on time may result in an over-reactive dog that is difficult or impossible to manage or even dog aggression. As you can see dog behavior and training can really impact each other. Many behaviors are a result of training that we may or may not even be aware of, just as our training plan must account for a dog’s behaviors.